Although the council does have a very limited quantity of sandbags they are for emergency incident use only and as such we are unable to issue any to the public or businesses. Anyone requesting sandbags can however purchase a small quantity of sand from a builders supplies merchant and strong plastic bags (similar to the blue recycling paper bags or plastic "rubble" bags). The builders supply merchant can for a small fee deliver the sand and plastic bags to there address. They should fill the bags with sand to form a sloppy sausage (this will be the best for sealing in awkward places) they will not work very well if the bag is solid. The plastic bag will help keep the sand dry and lighter and the sandbag can always be reused. The Council is also working with Government Office North West and the Environment Agency to get some information on the Councils website to inform residents were to go to report blocked drains or roads that are flooded. There are also plans to publish the Councils Emergency Contingency plans and I have asked that the information that we have available regarding potential flood risk areas be published. You can use the link on this site to report highway faults also. Hope this is of use. Fylde needs growth - but it must be managed - Letter to the media. I felt it necessary to write to the Lytham St annes Express this week regarding the innaccurate article relating to the number of homes to be built in the Fylde Borough. You would be interested to know that population figures recently published show that the Fylde's population will grow from 77,000 to 90,000 by 2020 without any new migrants into the area, the Children of today will need homes tomorrow!! The 20,000 homes for Fylde that you have wrote about is grossly inaccurate with just over 4000 homes being proposed in Fylde the rest being spread over Blackpool,Wyre and other Lancashire Districts. I would appreciate a chance to try and put the record straight. Speaking with fellow Coastal Council Leaders resorts such as Fylde are experiencing a massive trend of people selling up inland and retiring to the coast - limited house building does not stop this - just drives up house prices as many moving here from more Southern areas can afford to pay way over the going rate to secure a property. Government Policy insists that new Infrastructure must be funded from new residential and commercial development and fortunately we have a fantastic template of how 'not' to deal and negotiate with large developments from the lessons learned by the former opposition led Councils mistakes with Cypress Point. Our policy is Infrastructure First, development later. The same Independent/Ratepayer and Lib Dem led Council also adopted the policy of reducing the impact of building in the Fylde by increasing densities on sites, this led to the proliferation of apartment blocks and the loss of some beautiful character buildings - Conservative members are determined to scrap this practice where possible. Criticism of developers is not helpful as a large proportion of Fylde's residents live in homes of less than 20 years of age, thanks to those developers - perhaps organisations such as Defend Lytham see everyone whom lives in a new house in Fylde as, to quote one 'Rural Councillor' as 'unwanted migrants probably from Blackpool or East Lancashire! 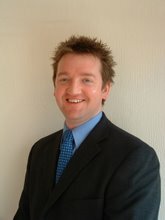 'the Chairman of Defend Lytham as the wife of Fylde's MP Michael Jack could be accused of not taking into account the needs of entire local population and that a perceived nimbi attitude towards Lytham especially, could be seen as in serious conflict with the responsibilities of her husband who's job it is to represent all Fylde's residents! 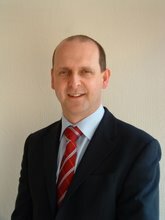 (In the MP's defence in his public utterances he has at all times recognised the needs of the population within the constituency he represents) New development needs to be spread across the Borough and the Governments current policy that homes should be built where possible within or surrounding existing towns and villages, that doesn't mean that Fylde Council members agree with it. 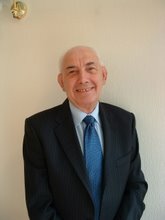 The Council's officers and Elected members are working hard to develop a long term vision of how the Fylde will look in years to come - a similar vision philosophy, to that of when we made difficult decisions in the face of public opposition on policies such as the Blackburn Home, St annes Town Centre re-generation and Ashton Gardens Lottery bid. Schools, jobs, GPS and Dentists are some of these very big issues and Fylde Council are already talking with the County Council about such issues. Ultimately the Governments failure to manipulate the population to purchase homes in the city regions has led to Fylde's current problems and we will be lobbying both the Local Government Association and Ministers to ensure we get the funding for the vital services we need. Jobs are also key - the Fylde's dependence on a small number of large employers is dangerous and the Council needs to ensure that the right conditions are made available to encourage new businesses to the Fylde Coast - the expansion of Whitehills has been criticised recently, again It would be useful to hear the thoughts of all those people who are employed there, bought a new car or shopped at B&Q. Again the Councils decision to release this land for commercial development was opposed at first but now we must all be able to see the benefits? I have mainly spoken in favour of new development and the opportunities that it can bring - however, I am not in favour of development for developments sake! Where a real need has been identified, whether present or future then surely we as a Council must act and take those difficult political decisions, that for almost two decades, elected members have shied away from?